No one does football quite like Texas. From boots to burnt orange, game day at Darrell K. Royal stadium is iconic. Texas football traditions like singing the “Eyes of Texas” and figures like Bevo seem natural to University of Texas at Austin students. Other universities, however, have branded their own traditions that Longhorn fans might find a little out-of-the-ordinary. Every school has its halftime routines, but Ohio State’s marching band doesn’t assemble in just any order. The band carefully spells out “Ohio” in cursive letters across the entire field. While many universities spell their home states across the field, this is the only one that does so in fancy lettering. While Texas has Baby Bevo as its good luck charm, Clemson worships a rock. Yes, you read it correctly, a rock. Prior to each game, the players gather around this emblem, called “Howard’s Rock” to rub it for good luck right before heading to the field. College hand symbols are notorious nation-wide. For Texas, it’s the classic “hook-em” hand sign that resembles a “rock-on.” At the University of Florida, the hand symbol is actually an entire arm symbol: the Gator Chomp. Fans in the stands use this two-arm mime of an alligator chomp to rile up the crowd. Unlike the UT students in boots and denim get-ups, Penn State students dress casually for their game days. With T-shirts and shorts as outfit staples, fans have to accessorize to show off their sense of fashion. The significance of tailgates at college football games is hard to ignore. At Ole Miss, students and other tailgaters lounge and party out in The Grove, ranked the top tailgating spot by Sports Illustrated. A mascot is one of the most recognizable elements of any school. 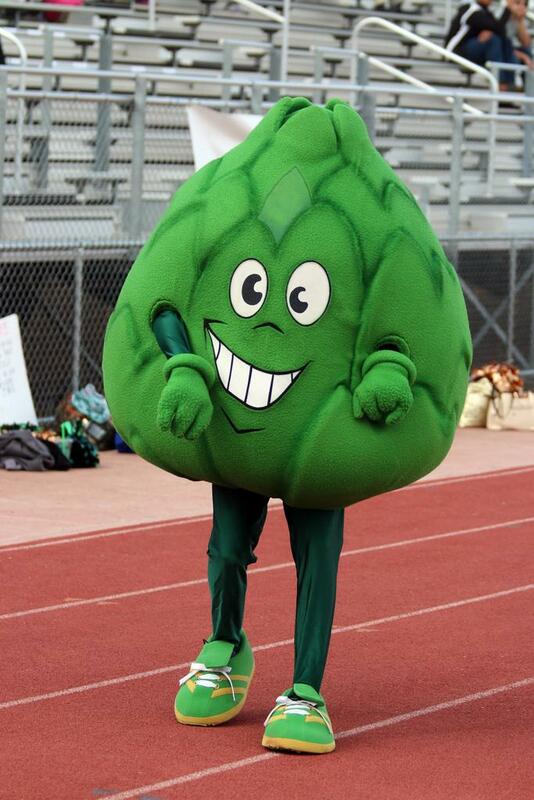 Texas fans worship Baby Bevo, but what about rooting for an artichoke? Scottsdale Community College students cheer on Artie the Artichoke and commonly reference the players as the “chokes,” which doesn’t seem like an ideal nickname for a sports team playing under pressure.